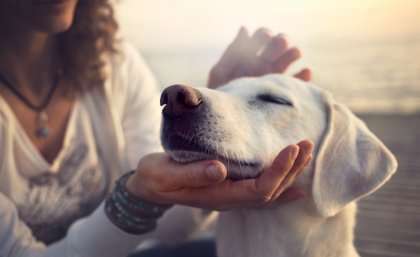 A research team from The University of Queensland examined the impact domestic violence had on companion animals and how this affected the victim's decisions. Dr Catherine Tiplady from the School of Veterinary Science said from the 13 participants in the study all reported their companion animals were abused or threatened by abusive male partners and they delayed leaving due to concerns their partner would hurt their animals. "The types of physical animal abuse included kicking, hitting, and throwing, as well as 'forced intimacy' by forcing a cat to lay with the abusive male 'until she gave up'," Dr Tiplady said. "One of the participants in the study said she delayed leaving for just over nine years, at which stage she elected to euthanise all three dogs because she couldn't take them with her, and to leave them with her partner would have led to them being harmed as punishment for her leaving." Dr Deborah Walsh from UQ's School of Nursing, Midwifery and Social Work said a consistent theme across animal abuse cases connected to domestic violence was the violent partner exploiting the close relationship between the woman and her companion animal in an attempt to gain power and control over her. "In some cases animals act protectively toward the woman and pay the ultimate price for that act," Dr Walsh said. "Most of the animals went on to have high levels of anxiety and fear-based behaviours long after the woman and the animals had left the violent partner." "Many women used animal fostering, however they found the duration was insufficient and expressed anxiety about the need to find safe, animal-friendly accommodation within the 28 fostering days available for women in refuge," Dr Walsh said. "We also found very few women were willing to confide in veterinarians about the domestic violence and animal abuse. "Veterinarians need to be educated on issues regarding animal guardianship during domestic violence to enhance their ability to provide knowledgeable and compassionate support when confronted with these cases in practice." The team of researchers included Dr Walsh, Dr Tiplady and Professor Clive Phillips from UQ's Centre of Animal Welfare and Ethics. The study was published in Society and Animals.